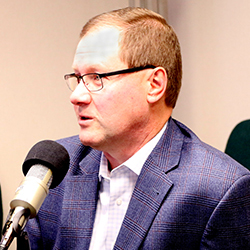 Doug Houser, Rea’s construction king, joins us again on unsuitable on Rea Radio to talk about the construction & real estate industry and what the future looks like for the sector. As we head into 2019, there’s a lot you need to know if you are in the real estate and construction industries. New nexus laws will greatly impact these industries, they require unique tax planning strategies, and some experts are predicting that the multi-family housing market has peaked. We’re joined again by Doug Houser, Rea’s new director of construction and real estate services. Doug is the perfect person to help us navigate these changes because he has spent over 20 years specializing in construction and real estate, in both the banking industry and public accounting. A construction company’s financial statements look very different than, say, a manufacturer’s. So if you are in construction or real estate, make sure your bank understands your industry and your business. The industry is doing extremely well right now, so a misunderstanding with your bank that disrupts cash flow is the last thing you need. Why quality of information is a premium in the construction industry – and the consequences of not having quality information. How new Nexus laws will likely affect construction and real estate. Has the multi-family housing market peaked? Financing The Gap – Will you have enough cash on hand to fuel your business if and when you need it? A well-structured line of credit provides you with room for growth and can be established by implementing a borrowing base or working capital covenant. Find And Keep Top Talent In Today’s Economy – Today’s labor statistics tell many stories. But, if you’re an employer, the one you should be paying attention to is the one that asks you to consider what it is you are doing to differentiate your company from the competition when it comes to attracting and retaining top talent. Webinar | Your State And Local Tax Questions Answered – This special webinar shines some light on the latest in state and local tax from the recent Wayfair ruling to real-life horror stories. Looking For The Next Level Of Business Success? – Start putting your effort and resources toward this particular strategy because positive results are sure to come!